If you were alive in the 80s, your shoe wardrobe wasn’t complete without a pair (or five) of Chucks (otherwise known as Converse All Star high tops). It didn’t matter if you were a guy or a gal – this particular 80s fashion trend crossed the gender barrier (and the age barrier too). The 80s can’t claim the Chucks fashion trend as its own. The Converse All Star High Tops have been around for quite a while. 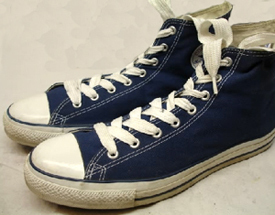 The Converse shoe company has been making them since 1917. It wasn’t, however, until world-famous basketball player Chuck Taylor began wearing (and selling) the shoes in the 1920s that they really caught on. 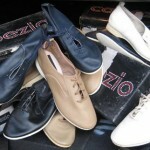 By the 1980s the shoes had become a fashion statement and were available in dozens of colors. Black, white, pink, blue, yellow, red – you name it, you could get it. 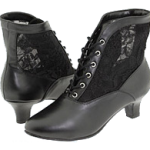 They could be worn plain as shown to the left, of course, but then this was the 80s after all so we took this classic shoe and made it our own. The 80s interpretation of Chucks included wearing two different colors – red and, say, turquoise (a natural combination) or writing all over them. 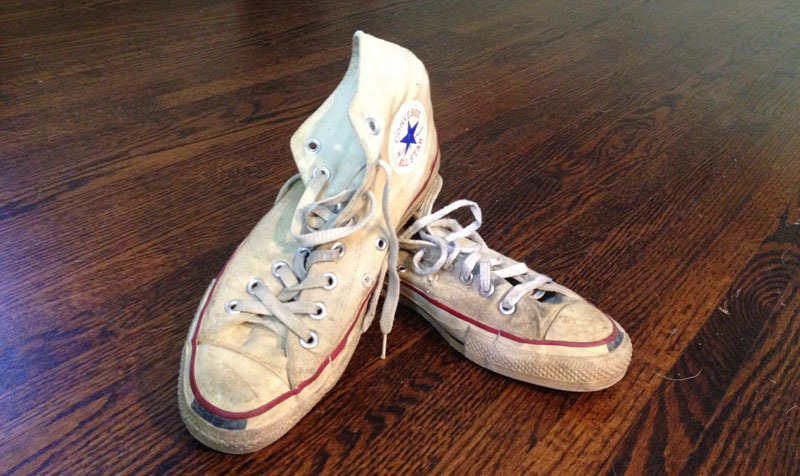 My own pair of off-white Chucks (still have them in the closet – shown below) had “Right” and “Left” written on the toes (you know, just in case I fried my brain with so much Aquanet that I forgot which was which). They went perfectly with my Guess overalls, don’t ya know? I eventually got tired of the “right” and “left” labels and inked over them. Other popular scribbling included peace symbols and anarchy symbols. My personal favorite was to find these two symbols co-existing. Awesome! 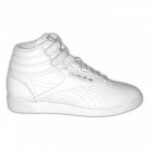 Though the shoes had started out as basketball footwear, many of those who wore them in the 80s never even picked up a basketball outside of gym class. 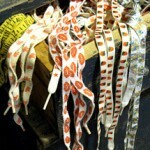 Of course, if you were really cool you owned a pair in each color. If you were a total dork you bought one of the knock-off imitations that didn’t sport the coveted All Star logo on the sides. Let the taunting begin! 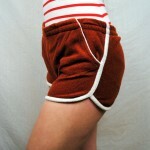 If you didn’t get to sport a pair in the 80s, you’re not totally out of luck. You can still redeem yourself. Yes, that’s right – the Chuck Taylor All Stars are still being made and sold in stores. The low top version has seen more popularity in recent years than it had in the 80s, so if you are looking to work this look into your wardrobe today, the low top might be the way to go. In fact, you can buy the classic Chucks right off the Converse website or in stores like The Gap, but forget about paying $20 a pair like we did in the 80s. Nowadays you’re going to be shelling out $40 or more. But it’s all in the name of nostalgia (and one damn fine looking shoe), right?